Budget notebook made better. 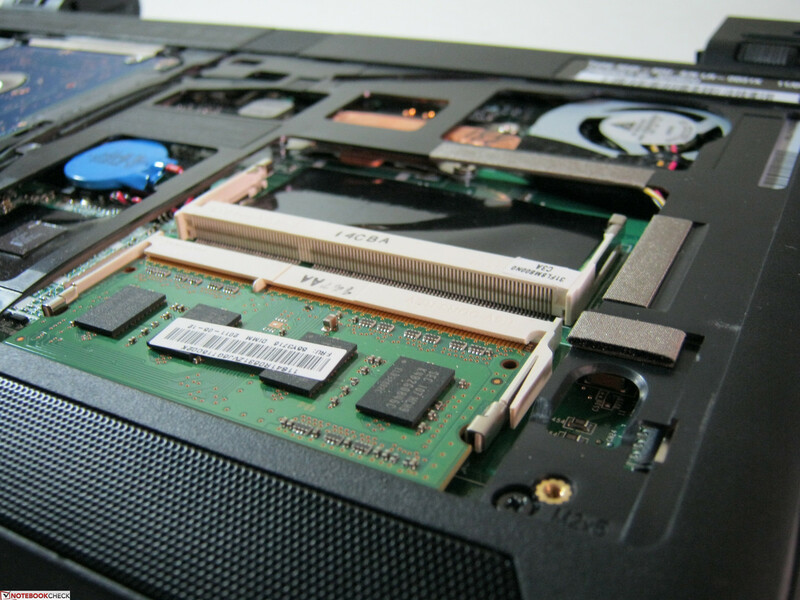 The ThinkPad X120e with its AMD Fusion core marked a significant improvement over the 2010 X100e, but does the Sandy Bridge-equipped X121e bring enough to the table to supplant the award-winning X120e? The 11.6-inch ThinkPad X121e continues the budget-conscious tradition of its two predecessors, the X120e and the X100e, but with a brand new case design reminiscent of the Lenovo Edge E125. This particular model under review includes the relatively powerful ultra-low voltage (ULV) second generation Intel Core i3-2357M CPU, although users can also opt for the Intel Pentium 957. The X120e was the winner of the Best Affordable Business Ultraportable at CES 2011 and received high praise from us as well, so let's find out how the X121e stacks up in this in-depth review. 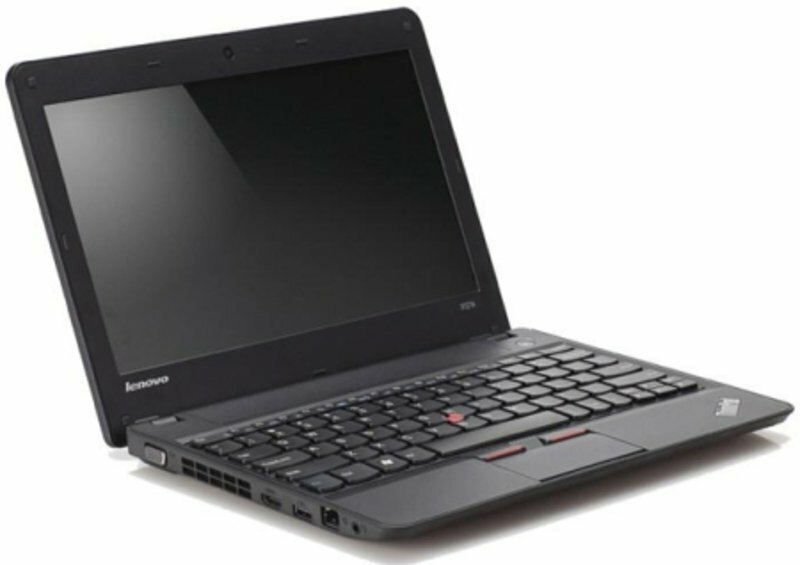 In terms of looks and form, the chassis is absolutely similar to the ThinkPad Edge E125, down to the stiff hinges, textured touchpad, roomy keyboard and even the lack of system LEDs. Overall, the frame provides above average pressure and torsional resistance both inside and out. See our review of the E125 here for a detail overview of the case and its features. At 23.5mm thick and a weight of 1.55kg, the Lenovo X121e is a hair thinner than the X120e and weighs about the same, but the model still retains the excellent sense of durability and sturdiness. The new design of the X121e is definitely more eye pleasing than the somewhat boxier build of the X120e. Of course, the magnesium alloy construct and roll cage of the larger and more expensive ThinkPads are a lot tougher, but the build of the X121e definitely ranks high amongst other similarly sized netbooks. As usual, the ThinkPad offers a more professional and business-class feel compared to its competitors, and the X121e is no exception. The model under review, however, comes in the alternate red color option instead of the usual black, which actually brings a small but notable difference in feel. While the E125 had a soft, rough-textured top, this particular red model is completely smooth and more of a fingerprint magnet. In addition, the gray lining around the edges of the lid is also absent. 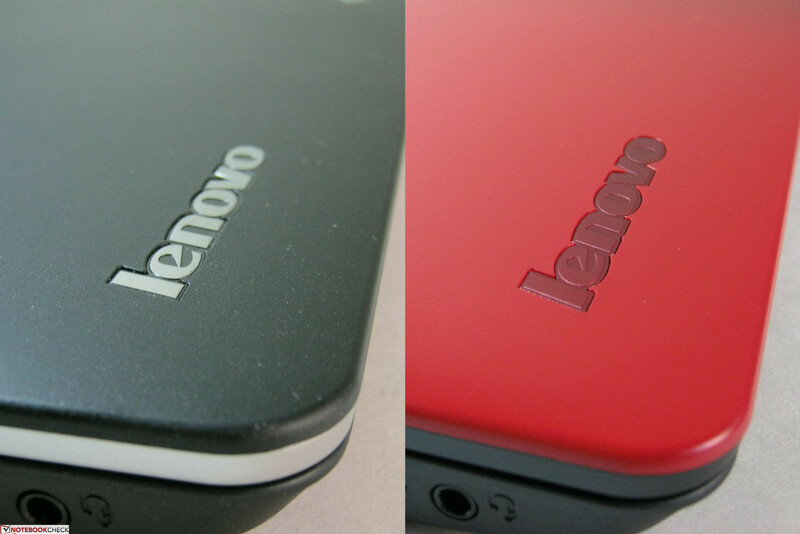 Overall, the red model loses a bit of that classy feel, but thankfully users have a choice between the black or red color options. 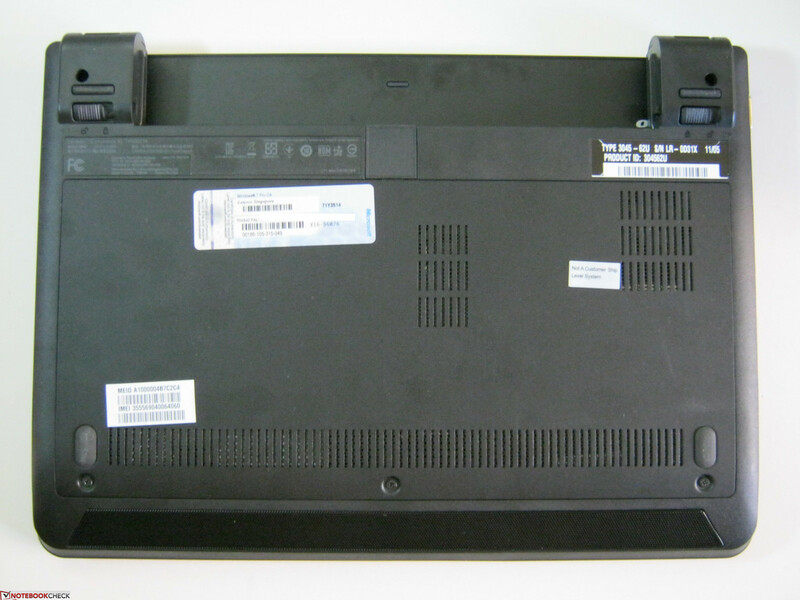 The X121e offers the same physical connectivity options as the X120e, but at slightly rearranged locations. Similarly to the E125, all ports are now located on the left and right hand sides only. This appears to be a design limitation as the entire back is reserved for both the battery and hinges while the front may be too thin to incorporate audio jacks or card reader slots. 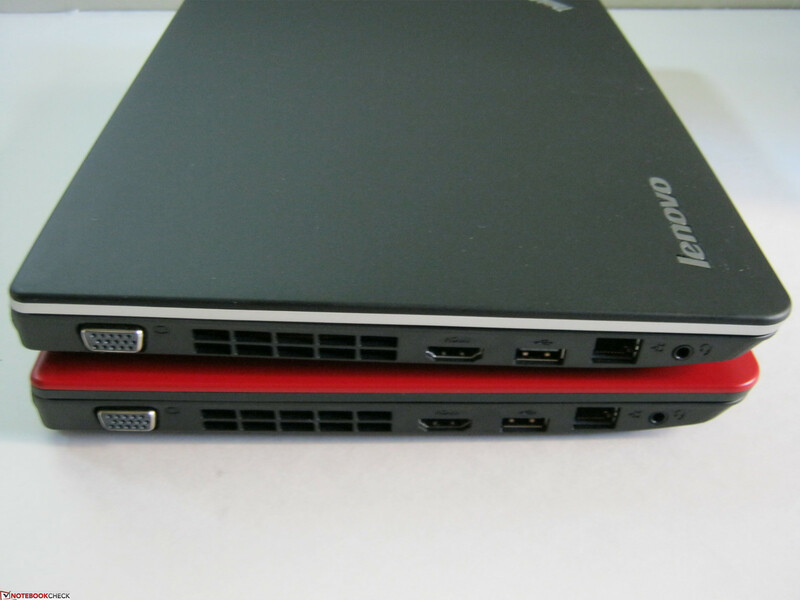 Noteworthy ports include an always-on USB 2.0 port on the right edge and an HDMI 1.4 port on the left edge. No USB 3.0 ports are included. Users who are left-handed may detest the crowded connections on the left side when compared to the right. In terms of wireless connectivity, a 2x2 a/b/g/n WLAN PCI-e half mini adapter and a Qualcomm Gobi 3000 WWAN card with WiMAX are provided. The GPS function also fixes a position relatively quickly. 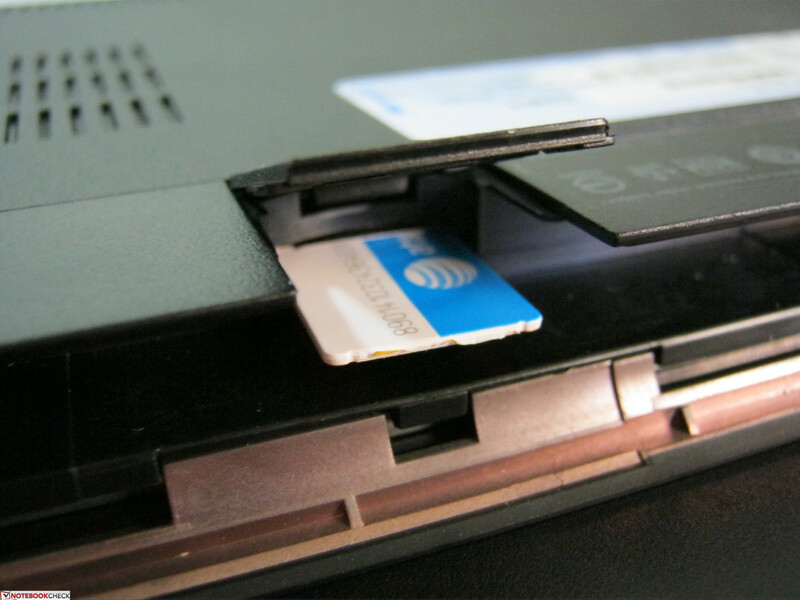 Users can insert a SIM card from the underside of the notebook, albeit at an inconvenient location since the battery must first be removed. Bluetooth 3.0 is included in the review unit and had no trouble syncing with other bluetooth devices. 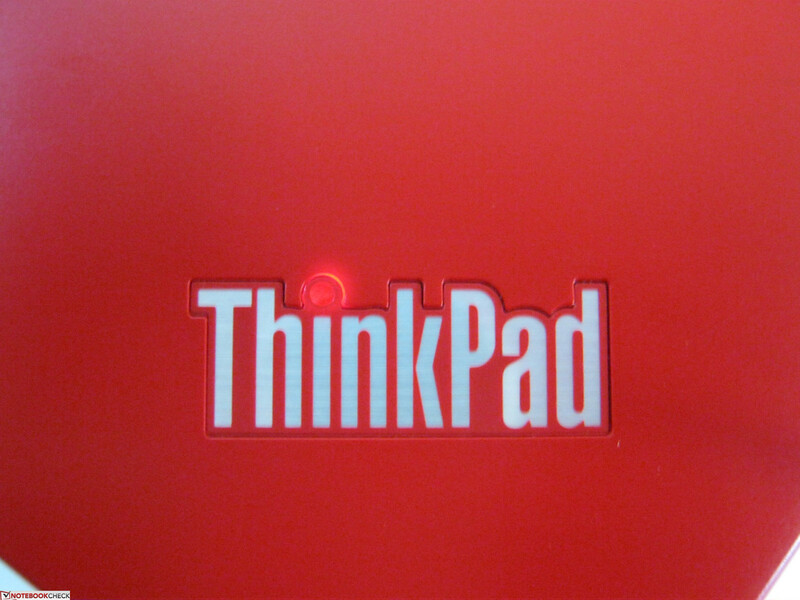 Lenovo offers the standard ThinkPlus Support for the X121e that is also available for most other ThinkPad products. This includes the 1-year warranty extendable up to 3 years, on-site repair services and 24/7 customer support where applicable. Additionally, users can opt in for coverage on accidental damage and data salvaging should the HDD happen to fail. 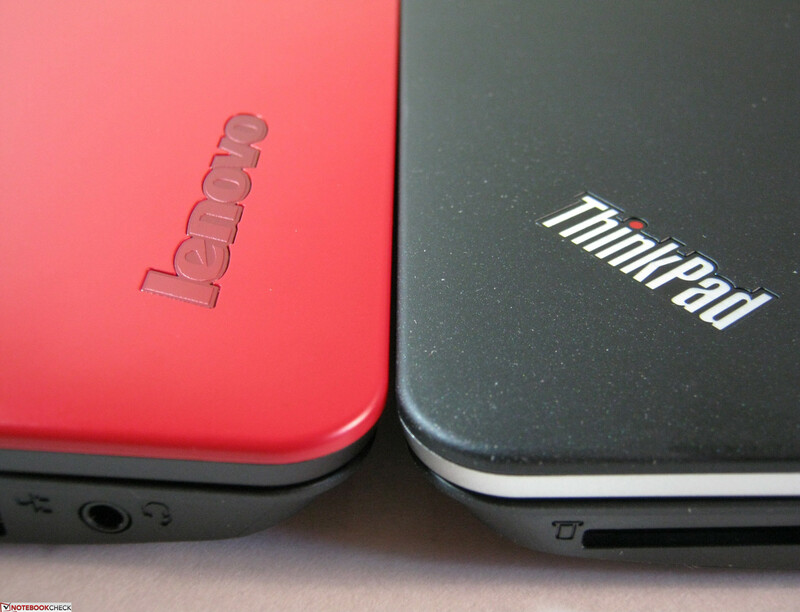 Like the X120e, the X121e does not support the Lenovo docking station. 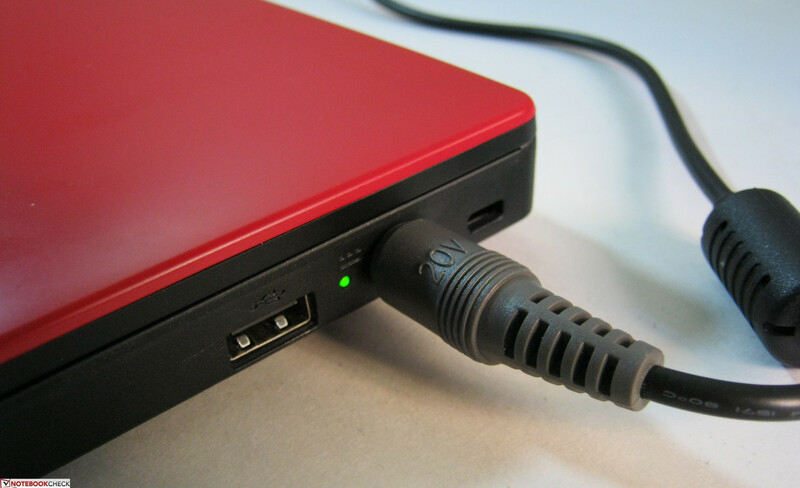 Other first-party accessories such as DVD burners and combo AC adapter/USB hubs should work flawlessly with the X121e. Compared to the X120e, the chiclet-style, non-backlit keyboard on the X121e functions just as well with a couple of improvements. The overall keyboard is still quite roomy (27cm x 10.5cm) and the QWERTY keys are very comfortable for typing with ample feedback, so the quality of the keyboard should be of no concern. Still, there are a few minor changes on the keyboard worth mentioning. First, the top row of function keys are individually wider than before, meaning the space between each key has been reduced. The all-important Delete and Esc keys have also been noticeably enlarged at the cost of the Insert key, which is now completely removed from the keyboard altogether. 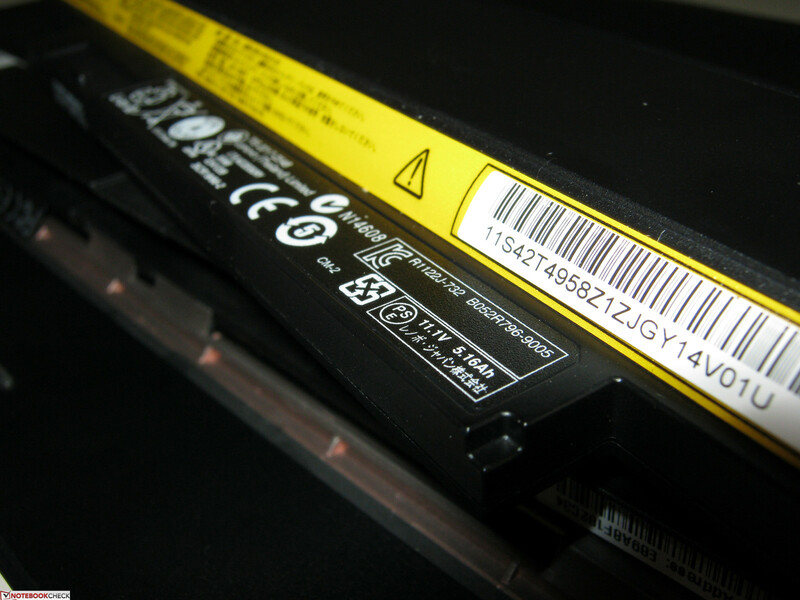 Unlike the E125, secondary functions such as brightness and volume controls are tied to the Fn key. Secondly, the bottom row of keys now include a dedicated Print Screen key. As a result, both the right Alt and Ctrl keys have reduced in width. Users who regularly make use of Print Screen may be satisfied with the dedicated key, although the Alt and Ctrl keys have been reduced to the most narrowest keys on the keyboard and could be a bit more difficult to use. Lastly, the PgUp and PgDn keys are now at the same depressible height as the rest of the keys on the keyboard. 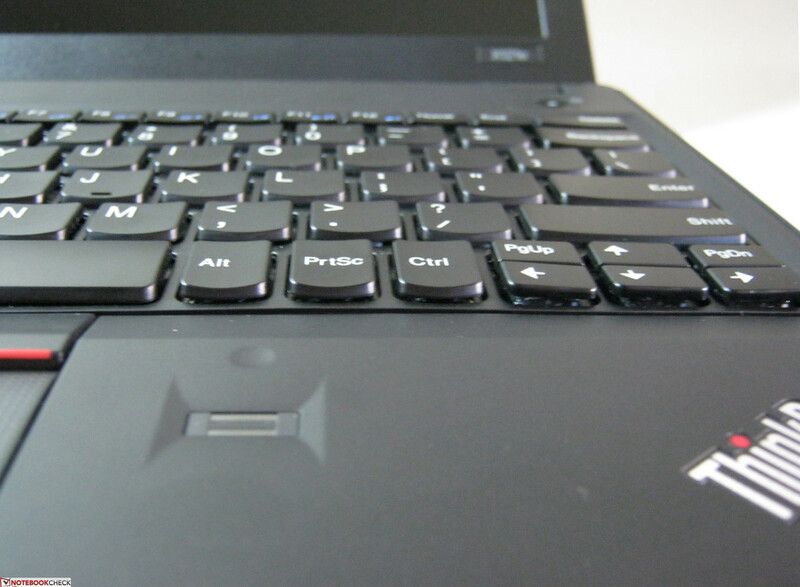 In our review of the X120e, the odd form factor of these two keys were criticized, so it is nice to see that Lenovo has fixed the issue here in the X121e revision. The familiar Trackpoint makes itself at home between the usual G, H and B keys and stands out more than usual due to the small size of the notebook. 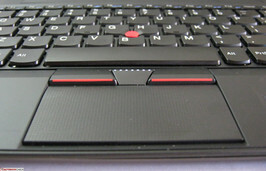 Unlike the X120e, however, the UltraNav touchpad (7.5cm x 3.75cm) is no longer completely flat and smooth, but is actually textured with a patterned surface and has a sudden downward curve on its top portion. Additionally, the two touchpad keys residing on the front edge of the notebook are now gone, so users won't have to worry about accidentally pulling up on the keys when opening the lid. Instead, these keys are now directly underneath the touchpad itself, so the user can left click and right click by pressing down on the touchpad. 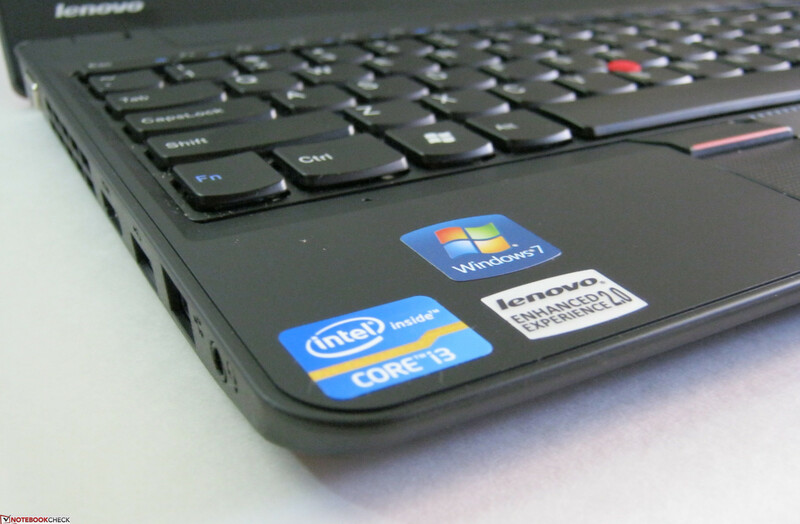 The X121e shares this functionality with the Lenovo Edge E420s and E125. 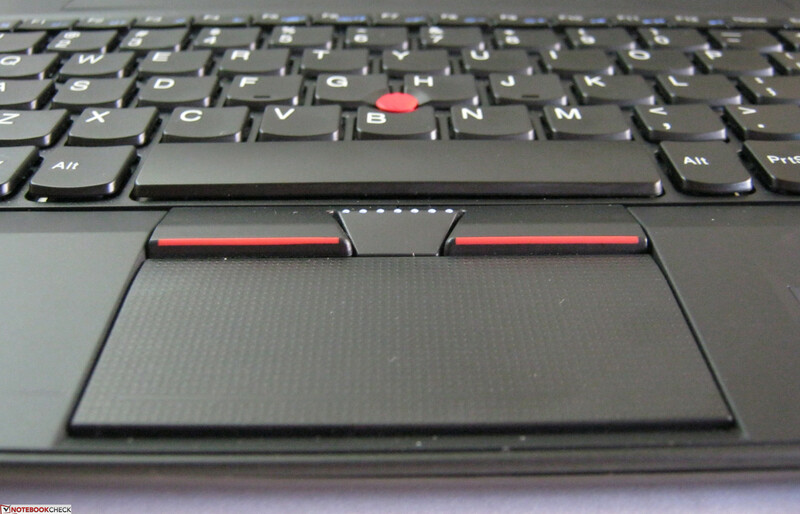 Of course, users can still use the traditional ThinkPad Trackpoint and dedicated buttons directly above the touchpad if they wish. 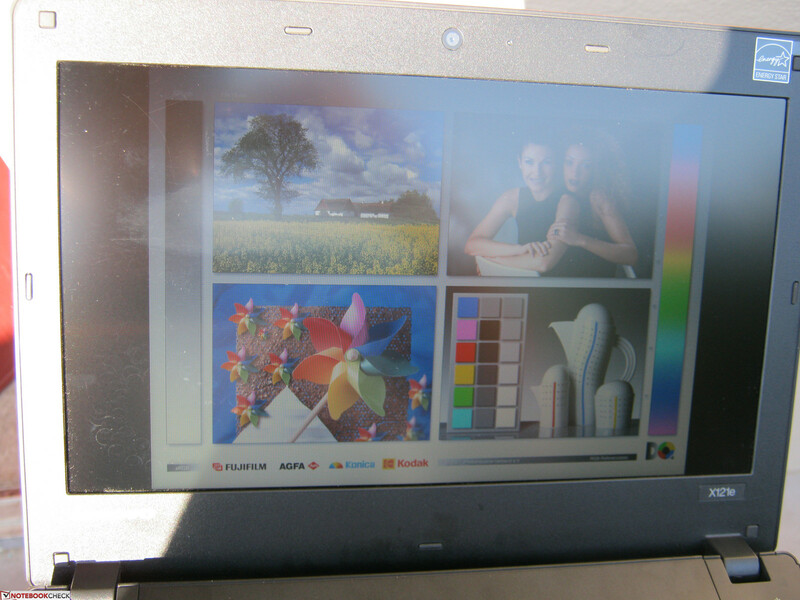 The ThinkPad X121e uses an 11.6-inch matte screen with a native resolution of 1366x768 pixels. This resolution is widespread for 14-inch and even some budget 15-inch notebooks, so those who are comfortable with the common 720p resolution should feel right at home with the screen real-estate provided by the X121e, albeit at smaller fonts and images. While the screen remains sharp and largely the same compared to its predecessor, Lenovo has aptly fixed our major criticism of the X120e display: the overall screen brightness. With the X-rite i1Display 2, a maximum brightness of 229.9cd/m2 was measured at the bottom center of the screen with a total average of about 219 cd/m2. Even if running on battery, the maximum brightness at its center is still above 200cd/ m2. The calculated averages and contrast levels are not unlike those of the E125, which sports the same size screen but with a glossy panel. As expected, the color spectrum coverage of the netbook is unacceptable for professional graphic use due to its extremely limited color space representation when compared to AdobeRGB and sRGB. 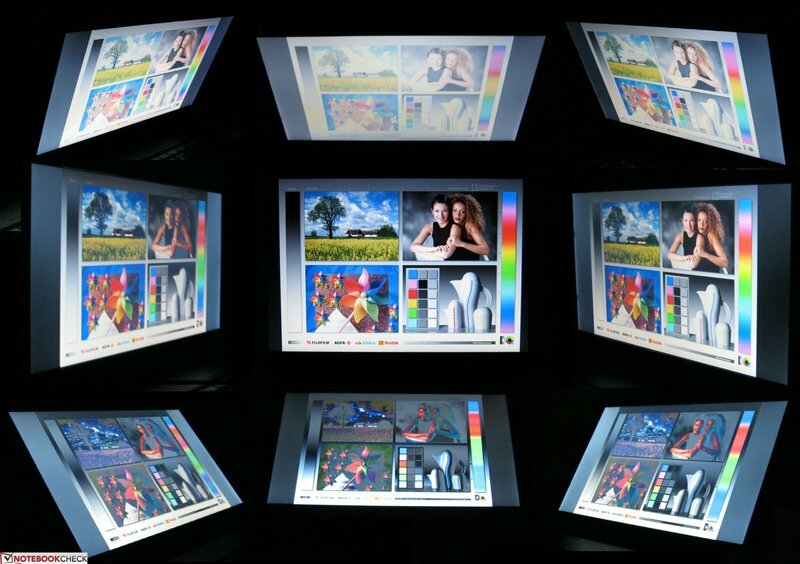 Still, professional image editors would not want to work with a budget sub 12-inch display, anyway. Compared to the 11.6-inch Lenovo X120e, the X121e covers about the same color gamut range, meaning that the transition to the new chassis design did not sacrifice much in terms of image quality. The color space is also almost 1-to-1 with the screen of the E125, which is perhaps unsurprising given that they both share the same external design and even the same monitor ID (LEN40D1), according to their respective Everest reports. An included 0.3 megapixel webcam by Silicon Motion Devices is positioned above the screen and is sufficient for light use, such as on Skype. As is usual with integrated webcams, real-time videos recorded from the X121e work best in brightly lit rooms, but will drop in quality with poor ambient lighting. An external webcam solution is suggested for those wanting higher resolutions and frame rates. General outdoor use is overall acceptable and is a marked improvement over the X120e. 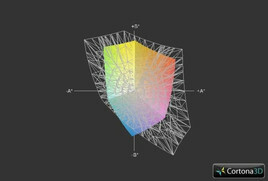 The matte screen is a benefit in this regard as most reflections diffuse as expected. 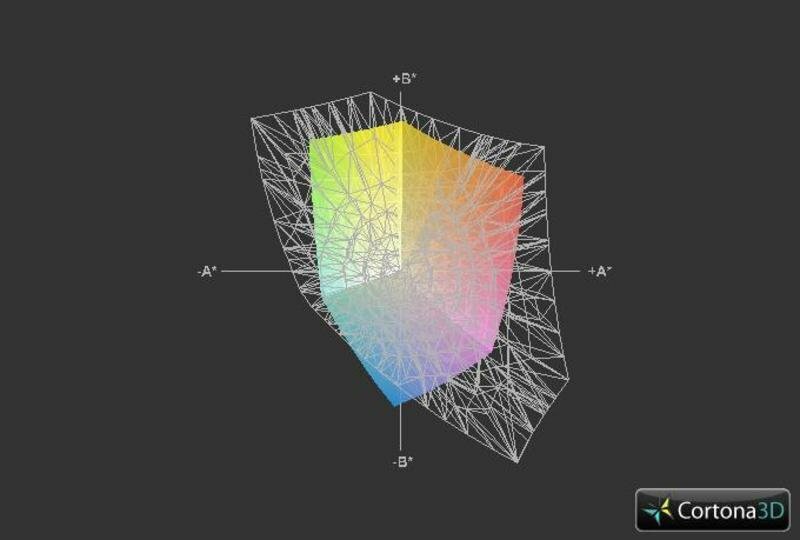 Viewing angle stability is notebook-typical. Horizontal viewing angles are tolerable, while vertical viewing angles are much less acceptable, especially if viewing from below. 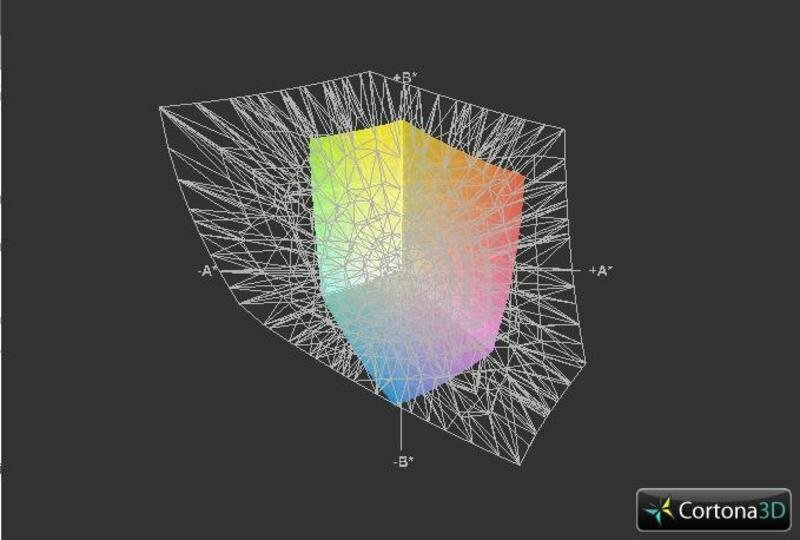 Colors will immediately shift if watching videos at slight vertical angles from below. For a single user, the viewing angles should be of no problem, but we advise users to look at the screen from about the same height if multiple viewers are present. 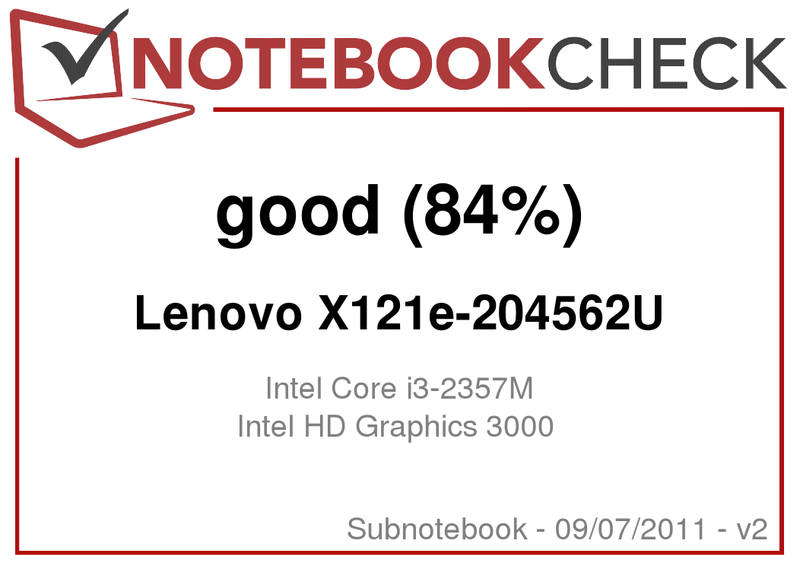 The ThinkPad X121e in review is powered by an ULV Intel Sandy Bridge Core i3-2357M CPU running at 1.3GHz with a thermal design power (TDP) of 17 watts. 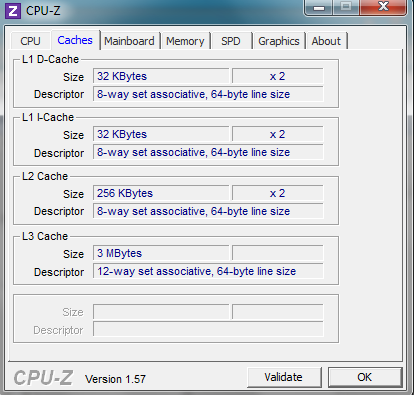 This dual-core processor is relatively new at the time of review and can handle 4 threads simultaneously, but lacks the Turbo Boost function commonly found in higher end Sandy Bridge CPUs. Here, the processor is built on a 32nm fabrication process with 128KB of L1 cache, 512KB of L2 cache and 3072KB of L3 cache. This Core i3 processor also integrates an Intel HD Graphics 3000 GPU, which offers 12 unified pipelines and an overall performance level somewhat less than the entry-level discrete Nvidia GeForce 310M. Still, the Intel GPU lacks DirectX 11 support. 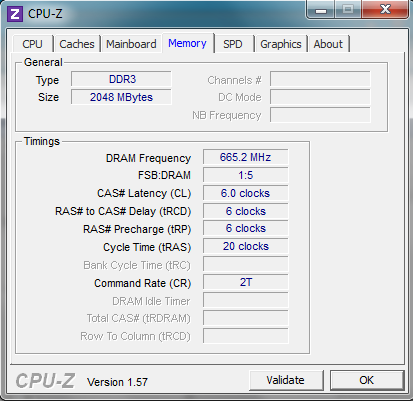 It offers a low base clock rate to save power, but does, however, support Turbo Boost up to 950MHz. 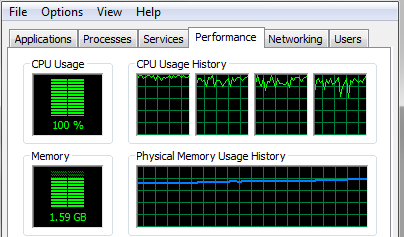 This particular GPU will borrow from the system RAM as needed. 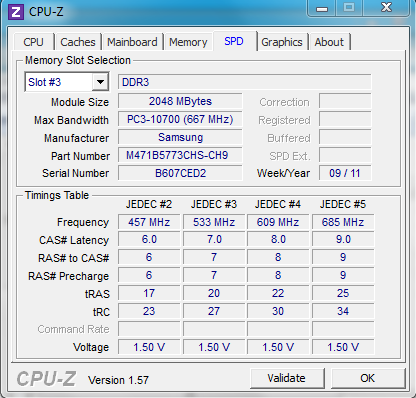 Two gigabytes of PC3-10600 DDR3 SDRAM at 667MHz is provided by Samsung in a single module. 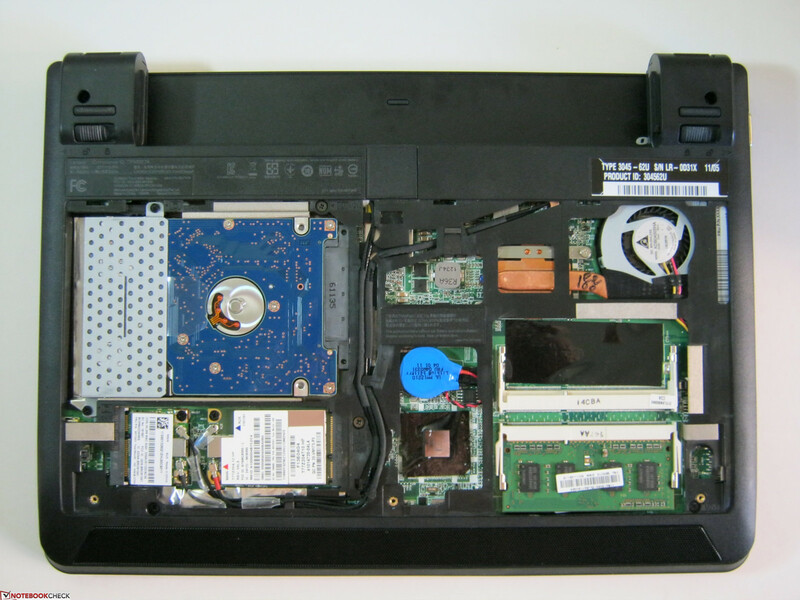 Similarly to the Lenovo E125, the Lenovo mainboard can support up to 2 modules maximum and is easily accessible by loosening the three screws from the underside of the notebook. In the CPU-oriented benchmarks, the Core i3-2357M performs admirably for a sub 12-inch notebook and handily beats the Fusion E-350 in the X120e. For example, the X121e completes Wprime 1024m in 1422 seconds and SuperPi 32m in about 25 minutes, while the X120e took 2257 seconds and 41 minutes, respectively. The PCMark Vantage test provided a score of 4170 points, which is very good even for a notebook this size. 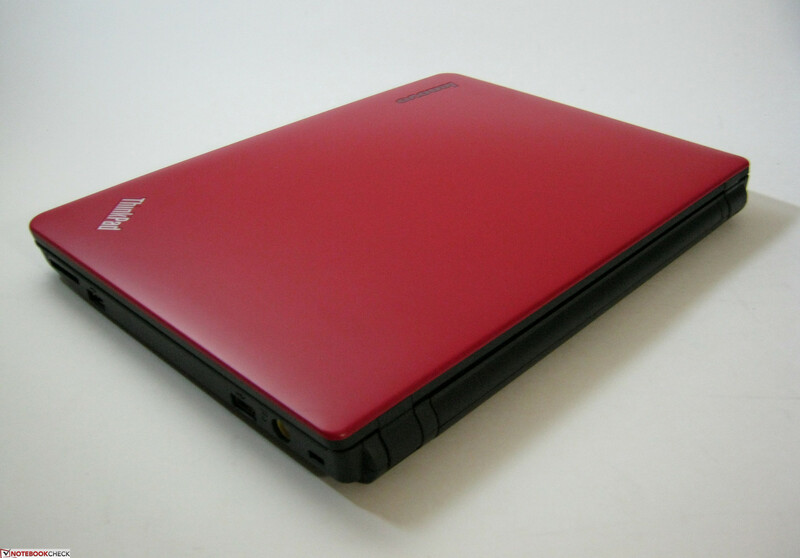 The score puts the X121e in line with the 15.6-inch Acer Aspire 5625G (1.6GHz Phenom II X4 P920) and 15.6-inch Lenovo Ideapad G560 (2.26GHz Core i3-350M). 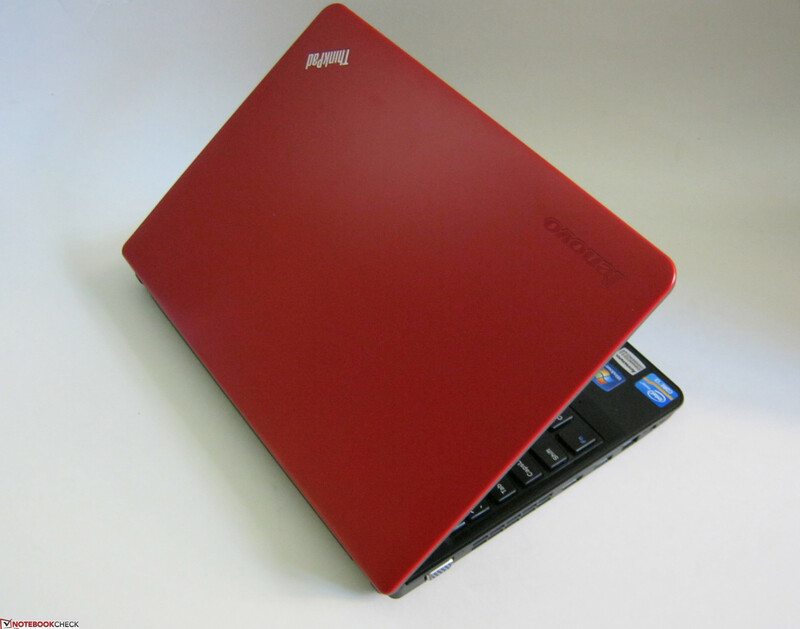 Compared to competing 11-inch netbooks such as the Sony Vaio VPC-YA1V9E/B (1.33GHz Core i3-380UM) and Acer Travelmate 8172T (1.2GHz Core i3-330UM), the X121e achieves a PCMark Vantage score 24 percent and 12 percent better, respectively. 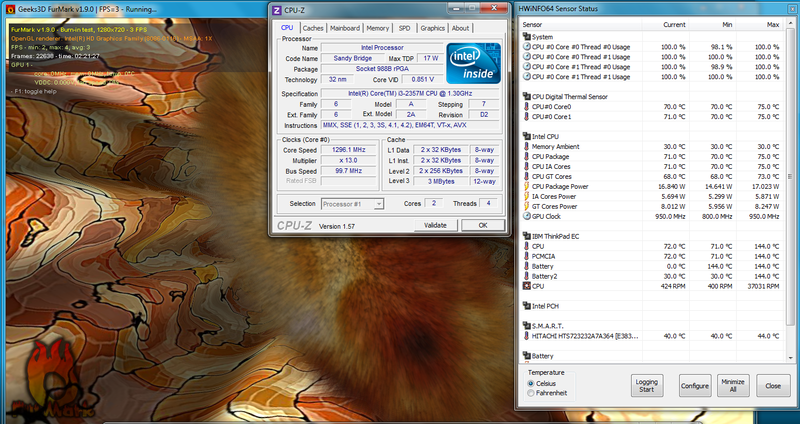 Additionally, the X121e Cinebench R10 Multi 64-bit score is higher than either netbook by almost 500 points each. 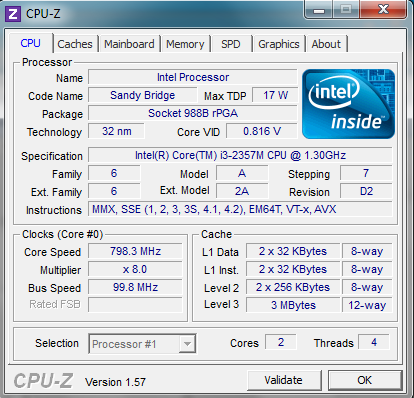 The Sandy Bridge Core i3-2357M appears to provide a noticeable performance boost compared to the first generation Core i3 CPUs noted above and an even greater advantage over AMD Fusion APUs. In the sub 12-inch category, the X121e with Sandy Bridge is going to provide one of the biggest bangs for the buck. Since the Core i3-2357M is relatively new to the market, notebooks sporting the CPU are few and far between at the time of review. 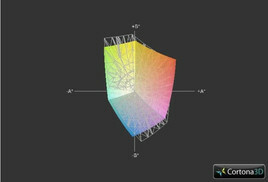 The Samsung NP900X1B is currently the other major 11.6-inch notebook offering the Core i3-2357M. 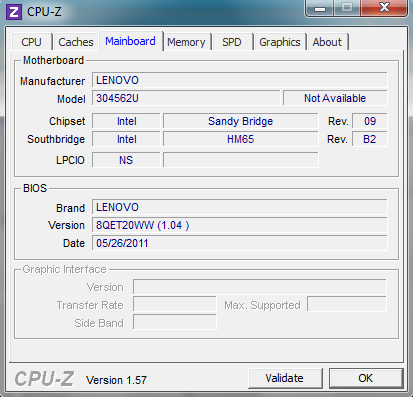 The graphics-benchmarks for the X121e are adequate for a netbook as well. The 3DMark Vantage scores are better than the integrated Radeon HD 6310 found in the X120e and is multiple orders of magnitude higher than the Intel GMA HD Graphics core found in many first generation Core ix netbooks. Heavy gaming is still not recommended with this hardware, however, as most modern games are still relatively unplayable at low to medium settings. Of course, the X121e is not targeting gamers, so the weak 3D performance of the integrated low power Intel HD 3000 graphics should be expected. For further information about the video performance of the Sandy Bridge Intel HD 3000, please go to our dedicated page on the subject here. For video playback, the processor handles 720p and 1080p videos on Youtube and 480p videos on Hulu flawlessly through its HDMI 1.4 port. Likewise, 2K resolution Youtube videos play with no stuttering, although 4K resolution videos are a slideshow. We didn’t stop there, however, as we wanted to see how the X121e fairs with multiple and simultaneous 1080p video streams. Through a connected FullHD HDTV, a 1080p AVC1 trailer for Transformers 3 was played with multiple instances of VLC media player. Video bitrate was variable, ranging from around 5000 kb/sec to 15000 kb/sec. The notebook was able to playback two simultaneous streams with no problems, but massive frame drops occurred with three streams. The CPU usages for each stream, as shown on Windows Task Manager, are provided below. The Lenovo X121e in this review includes a 320GB HTS723232A7A364 SATA hard drive from Hitachi with a rotational speed of 5400RPM. Results from HD Tune provided an average transfer rate of 77.6 MB/sec, which is a bit slower than the Seagate drive found in our X120e review. Regardless, the HDD speeds are still a notable improvement over the older Lenovo X100e. Of the total available space, about 10GB is reserved for the Lenovo_Recovery partition. 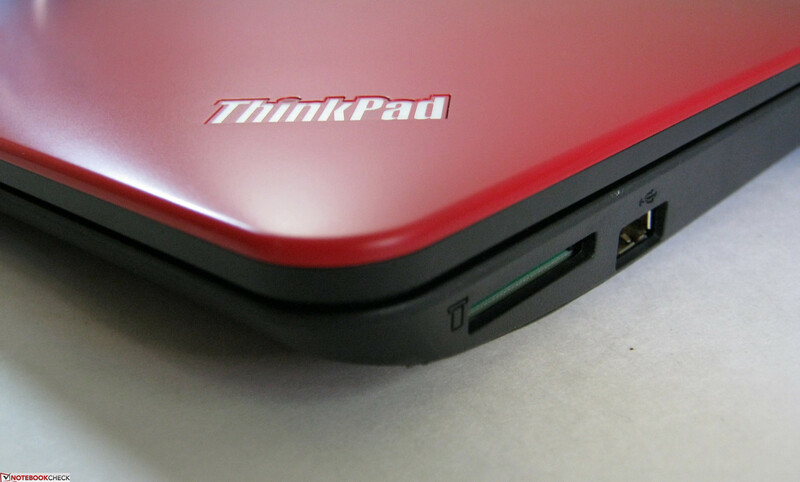 Users have the option to equip the notebook with a 128GB Lenovo RapidDrive SSD if faster speeds are a top priority. With the DPC Latency Checker, there is a recurring high latency peak for the X121e averaging once per minute, even with all wireless radios disabled. 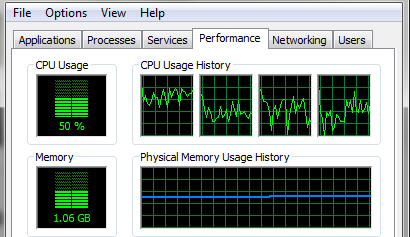 The latency was found to be related to the Lenovo Power Manager. Once disabled, latency levels became normal at under 500 microseconds. For good measure, we benchmarked the X121e with the popular PC/Mac exclusive Starcraft 2 and racing game GRID. For the Blizzard game, the short intro dialogue to the single-player challenge “For the Swarm” was used as it represents a good mix of units, dynamic Zerg creep and lava doodads. Unless low settings are acceptable, the game is near unplayable at even the preset medium settings. Multiplayer games like Starcraft are going to need the highest frame rates it can get, so don’t expect too many other modern fast-paced games to do well on the X121e, either. 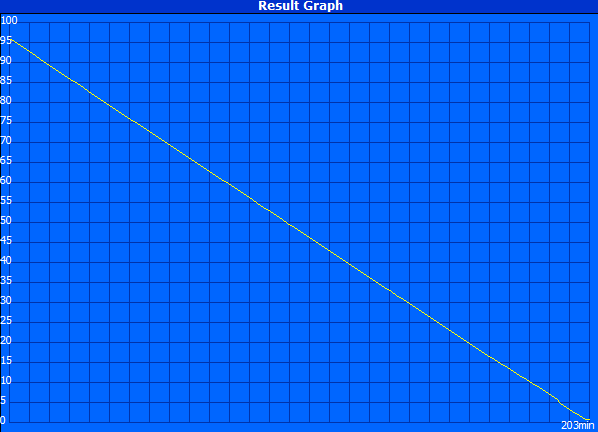 GRID had similar results when racing one lap around the German course with the BMW 320SI. It becomes that much more difficult to beat the AI drivers the higher the graphics settings are. Slower games where trigger-happy fingers aren't required, such as Sims 3, should play adequately on the X121e. 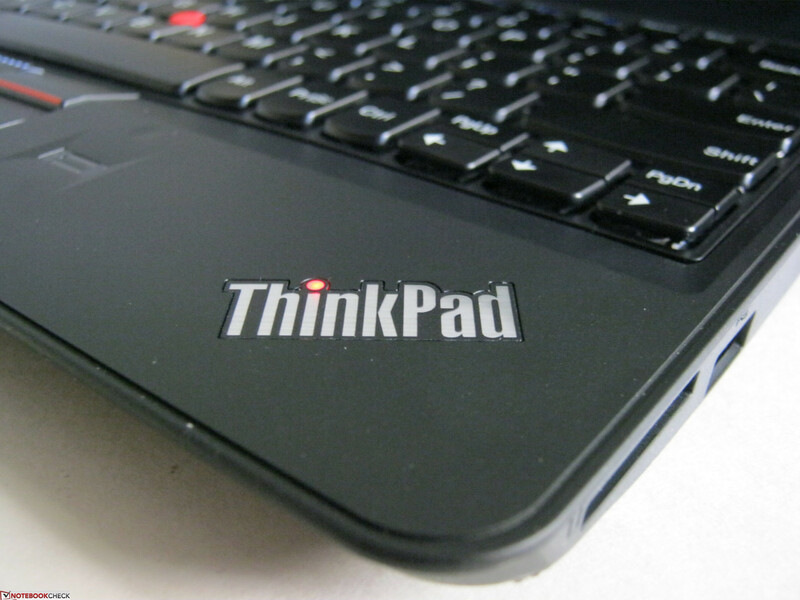 While the ThinkPad X120e was all-around quiet, the same cannot be said about the X121e. 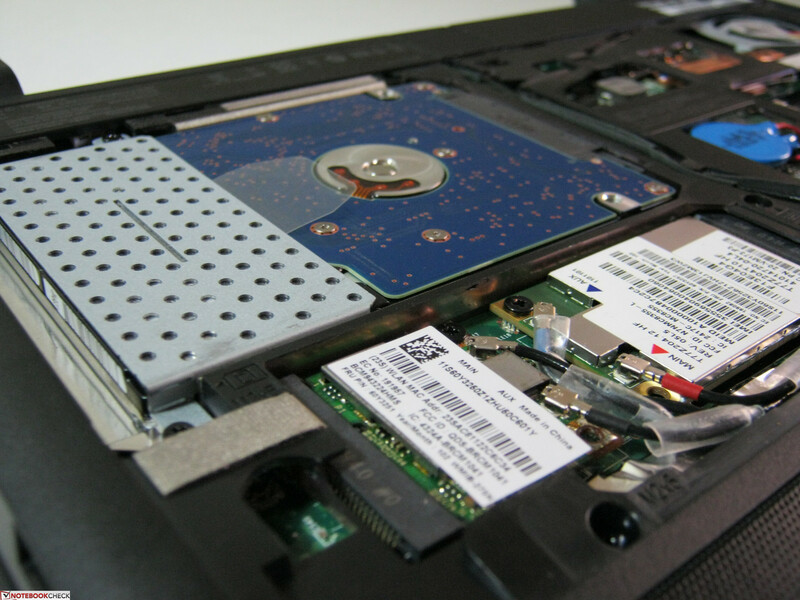 Unless there is moderate background noise, the user will be able to hear the system fan even if the notebook is idle. This is not to say that the X121e would be uncomfortable to use, but the increase in fan noise compared to the X120e is definitely noticeable. The situation becomes worse if the system is under stress or is processing graphic-intensive work. Fan noise becomes much louder, but not to the point where it may become bothersome to the user in a normal office environment. However, during use where low ambient noise levels are preferred, such as a movie or video, the increase fan speeds could potentially be distracting. In a classroom or library environment, we would definitely suggest putting the X121e in power saver mode to avoid any possibilities of disturbing others. At idle with maximum energy saving options, the upper base surface of the laptop stayed relatively cool at an average of about 30 degrees C while the lower portion was slightly warmer to the touch at an average of 31.3 degrees C. Room temperature during temperature testing was at 23 degrees C.
When stressed under FurMark and Prime95 for over 2 hours, the system can get quite hot! At worst, the notebook peaked at 44.8 degrees C on the bottom front center. In fact, the bottom surface is almost 5 degrees C warmer on average than the top keyboard surface. While the top is not hot enough to warrant any concerns, users may find it too hot to use on their laps for an extended period of time when the system is under load. This is in contrast to the Fusion-powered X120e, which stayed relatively cool even during stress testing. 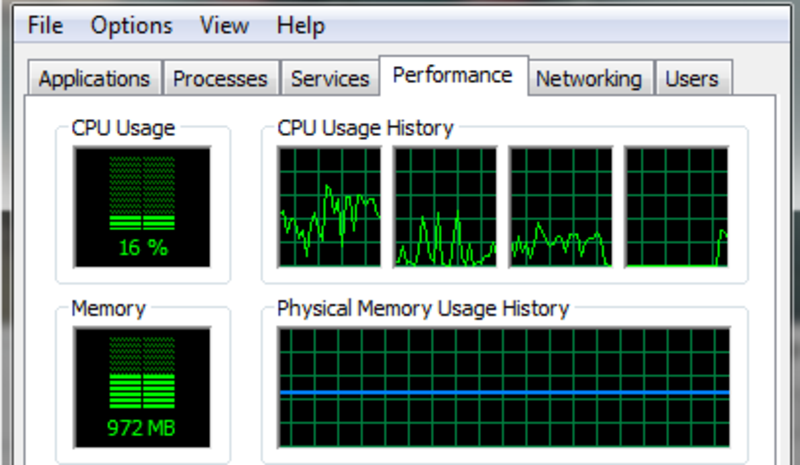 A throttling test was performed by stress testing with FurMark and Prime95 for almost 3 hours. FurMark was unable to recognize the integrated Intel HD Graphics 3000, but was nonetheless able to stress the GPU. Background temperature during the throttling test was 18 degrees C. According to HWiNFO, GPU speeds fluctuated between 800MHz and 950MHz, which was expected since Turbo Boost is supported up to 950MHz. Otherwise, no throttling was observed during the testing duration. The PCMark06 score immediately following the stress test was 2911 points, which was in the same ball park as the initial score of 2962 before stressing. 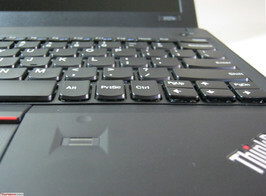 The X121e includes a pair of stereo speakers on the bottom of the tapered front of the notebook. Although a somewhat odd placement choice, the idea is that sound will direct towards the table surface at an angle before reaching the user. 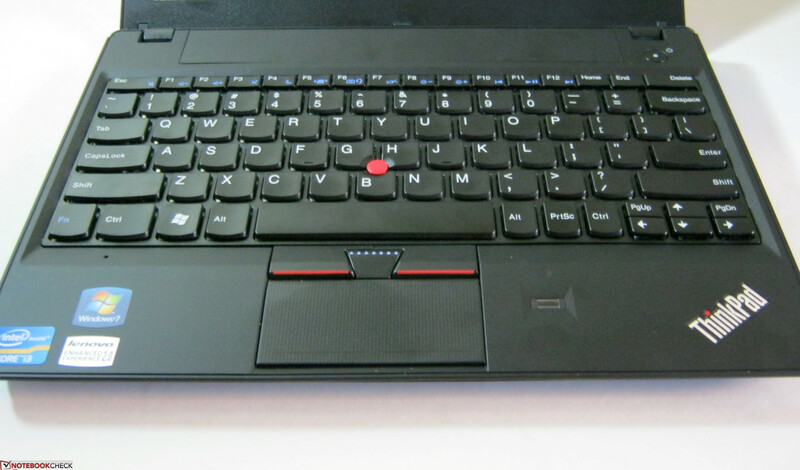 This placement was used for the X120e and is common for the ThinkPad Edge series as well. Sound quality is somewhat acceptable and on par with the E125. As expected, sounds lack bass and are a bit muffled, so these aren't exactly the best speakers for listening to music. The notebook can get quite loud at maximum volume although external speaker solutions will be required for more agreeable quality and range, of course. As previously mentioned, the 3.5mm combo audio port on the left side of the laptop will allow for earphone and speaker options without any problems. The reviewed model is equipped with a 6-cell battery module providing 11.1V at 5.16Ah. According to the BatteryEater Reader’s Test, running the X121e on battery can last for up to 461 minutes, which is quite good given the CPU performance increase over the X120e. These numbers were attained by enabling “energy saving” profiles, disabling wireless connectivity, and setting minimum brightness levels. Recharge time from zero to 100% is around 190 minutes. The minimum battery life, recorded with the BatteryEater Classic Test, was about 203 minutes. 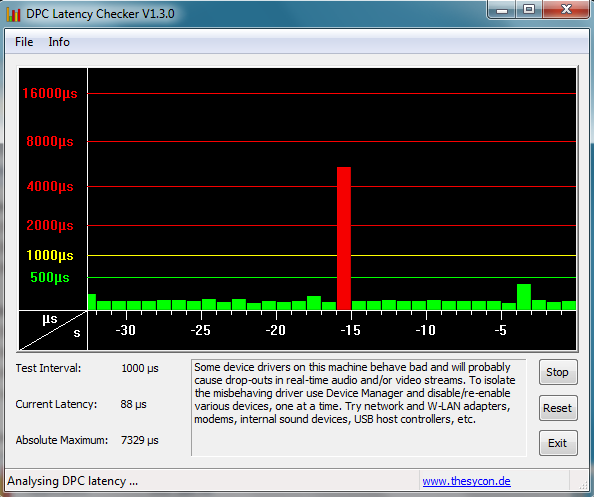 This was with full brightness, all wireless settings enabled, and the “high performance” profile setup. A more reality oriented battery life test was also performed at a brightness level of 13/15 under typical web surfing conditions with occasional videos and Adobe Flash enabled. The notebook reached up to 309 minutes just before the 5% battery notification box appeared. This is highly variable, however, since watching any sort of video will greatly reduce the battery life. In our X120e review, we noted that the 6-cell battery protruded from the rear, which definitely took away from its overall design. 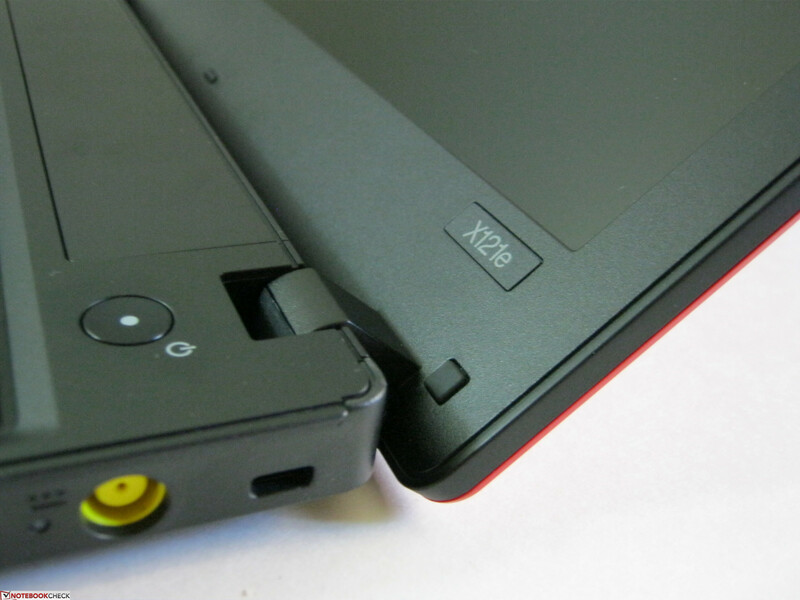 Thankfully, the 6-cell battery of the redesigned X121e fits snugly on the back with no unattractive extra volume. Perhaps more surprisingly, the X121e can last for almost an hour longer during the BatteryEater Classic Test compared to its predecessor. 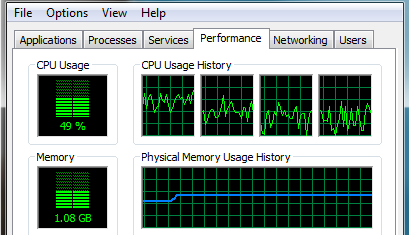 The power consumption at idle and at the lowest brightness setting is around 6 watts according to the built-in Lenovo Power Manager. 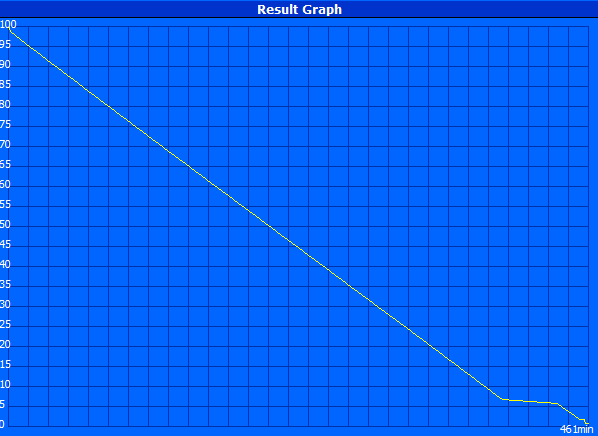 Under load and maximum brightness, the total power draw peaked at about 31 watts. 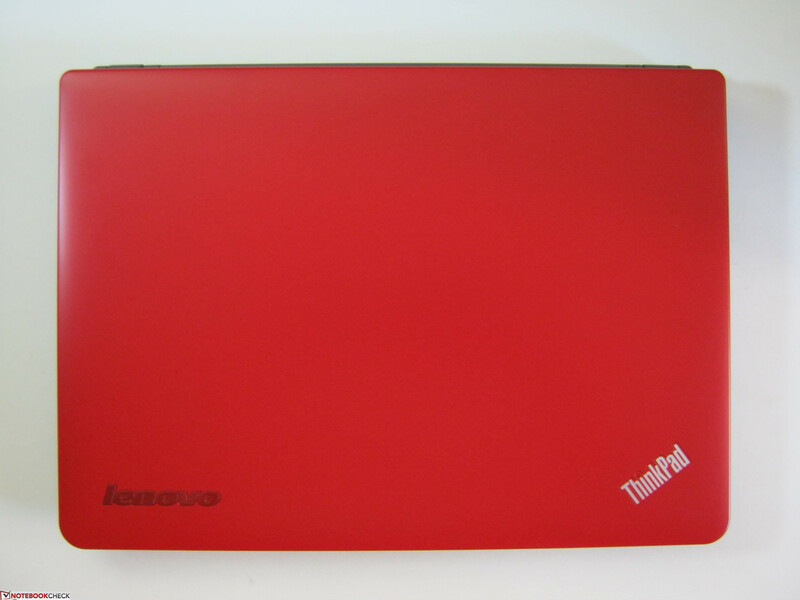 The Lenovo ThinkPad X121e subnotebook aka netbook brings a lot to the table that the X120e missed, including a brighter screen, a design overhaul, keyboard enhancements and a smaller 6-cell battery with comparable battery life. 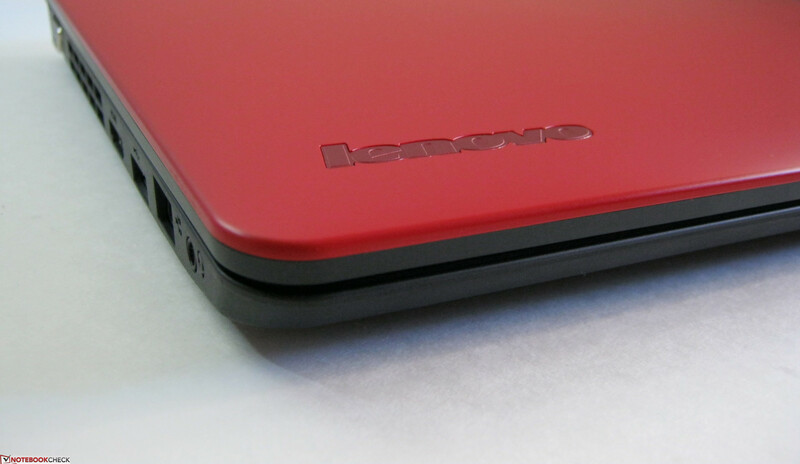 The new chassis is also much more appealing while still retaining that ThinkPad-class look. The increased CPU performance brought in by the Sandy Bridge chipset is also far superior to the Fusion APU offered by the X120e. These improvements alone make up for most of the shortcomings of the X120e. The boost in power, unfortunately, comes with a couple of drawbacks. The first is an overall hotter temperature of the laptop, which is fairly significant compared to the X120e. It was somewhat expected that the Core i3 would bring a measureable increase in temperature compared to the Fusion E-350, but a rise to well over 40 degrees C under load may be a little too much. Secondly, expect fan noise to be perceptibly louder as the cooling unit will be working overtime to keep that powerful CPU operational. If the notebook is being used for heavy multitasking or playing modern games, anticipate even louder noises as the fan ramps up in speed. Regardless of the new disadvantages, the redesigned X121e still offers the same extensive connectivity options as its predecessor, including HDMI, Bluetooth, WLAN, SIM and a new WWAN card, albeit with no docking port. 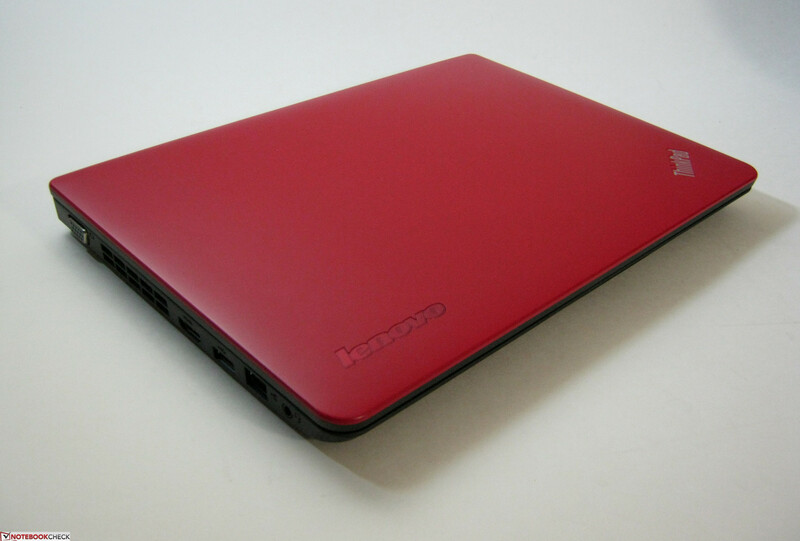 Business users on a budget with good CPU performance and small size as top priorities cannot go wrong with the Lenovo X121e. 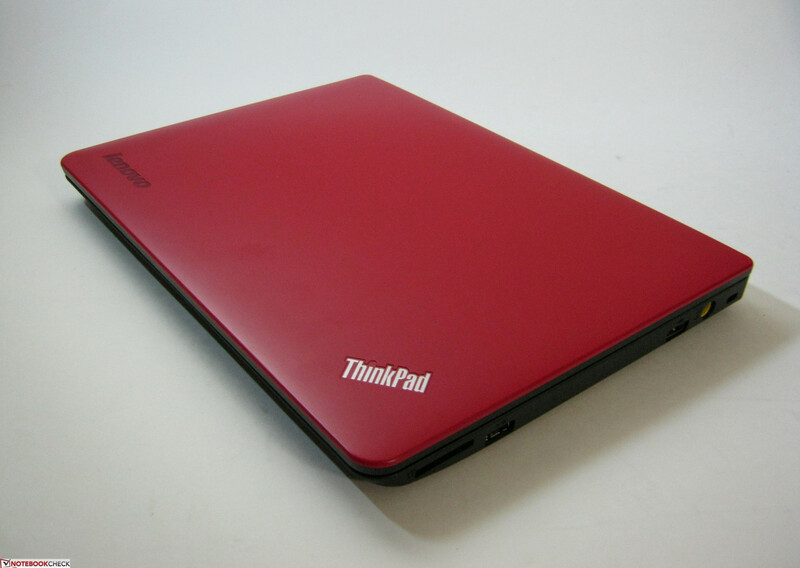 This 11.6-inch notebook is definitely a worthy entry to the ThinkPad X Series. Webcam: 0.3MP Silicon Motion Inc. 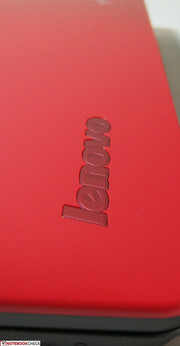 Even the Lenovo logo is red! The impressive CPU performance offered by the 11.6-inch notebook is one of the more powerful processors offered in a sub 12-inch notebook while maintaining great battery life. The cool temperature levels and quiet performance of the X120e were both sacrificed in favor of a stronger processor. The front LEDs have also been removed in the new redesign. Competing laptops include the 11.6-inch Sony Vaio VPC-YA1V9E/B, 11.6-inch Acer Travelmate 8172T, 13.3-inch Toshiba Satellite R830-11C, 14-inch HP ProBook 6460b LG654EA and Acer Aspire 3750-2314G50MNkk. As of this writing, no other 11.6-inch notebook sports the Core i3-2357M CPU except for the Samsung Series 9 900X1B.